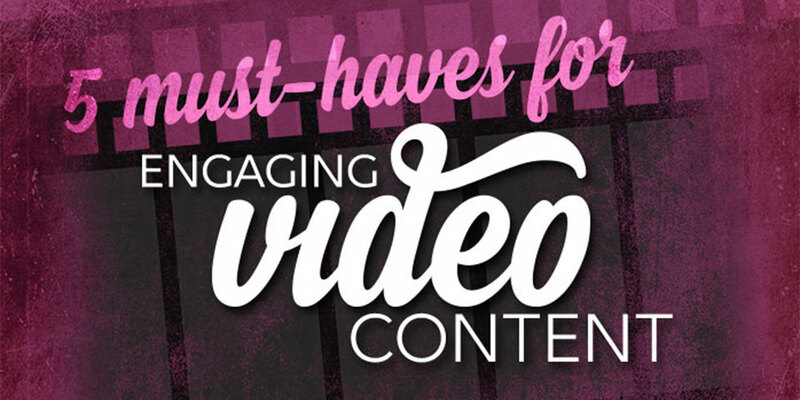 Let’s talk about optimizing the content of your video to maximize engagement. (You are using video in your content marketing, right?) It may seem so obviously necessary, but scripting with the right approach is a vital part of successful video production. What are we talking about when we talk about scripting? It may be a verbal message or it may simply be an outline of concepts, ideas, talking points, and other information. The script should be crafted to achieve real business goals – whether that’s increasing awareness, improving engagement, or selling a product or service. That’s not to say it should be sales-y, but first defining the purpose of the video content will help shape the rest of the process. It’s also important to know your audience. Who are you trying to reach? Who do you want to benefit from the information that you’re providing? How will they use this information? What does your brand offer that’s unique and distinct from other brands in your space? Once you know who you’re talking to, it’s much easier to determine what and how. What you want to say should not simply align with your business goals – your message should also align with the needs and interests of your viewers. Message tone is an often overlooked component of scripting, but how consumers relate to your brand voice is extremely important. You want your script to fit with the tone of your brand. The voice should be natural, not preachy or condescending. If you want to project an air of friendliness in your brand, the overall tone of your video production should reflect that. If your brand is edgy and progressive, then you want a tone that will align stylistically. What’s another must-have for an effective script? Just like my mischievous mail-shredding puppy, it needs structure. In most cases, it helps if your story have a beginning, middle, and end. Seems obvious, sure. But it can be a challenge to develop this kind of narrative because it’s not natural to the workings of the corporate world. People generally don’t go to work thinking about a story that they’re living. But having a narrative that people can relate to is vital to successful video production. A common exercise to create narrative is to think about the problem, the solution, and how the solution improves the life or well-being of the viewer. So if your viewers are interested in widgets, then they should consider your widgets, because your widgets will improve their life and help them achieve their goals. That’s some awesome widget action right there. Length is another important factor. It’s important to be conscious of how long your script is going to be because, ultimately, that’s going to determine how long your video is. And online, people generally have a low tolerance for preachy sales videos. They’re willing to commit perhaps 30 to 90 seconds of their attention watching a video that hooks them. For brands that are building relationships with their existing customers, ongoing video content has the potential to produce more engaged viewers. These viewers have already invested in your product or service, so they’re more likely to watch an informative demo or webinar that exceeds the 60-90 second threshold. Still, it’s best to keep your video under five minutes in most cases. Although scripting content is an early step in video production, it’s critical to the success of the end result. It might seem tempting to rush the process and get the camera rolling, but the time invested upfront in a quality script will be worth every minute. What about you? What has your experience been like with scripting and developing content for video? Have you found any useful tips, tricks or resources?